Will Europe’s first climate refugees be from the Camargue? Here, humans have waged a constant battle against the Rhone and the Mediterranean to shape the land. Civil engineering work, notably the dike built in the late 19th century, has enabled 150,000 hectares to be reclaimed from former marshlands for livestock and crops. But in the last few decades, the shoreline has been receding an average 4 metres per year. The extent of erosion is spectacular and a changing climate bodes ill for the future. The current dikes and other natural barriers will be powerless to check the inescapable rise in sea level and likely more-frequent big storms. 25% of the Camargue today lies below sea level and 70% less than a metre above. According to the IPCC, sea level is likely to rise by anything from 20 to 90 centimetres by the end of this century. How much of the Camargue will be submerged? Other vulnerable land, even far from the coast, could be flooded and become saline as storms arrive in quick succession as they did during the winter of 2014-2015. And finally, the flow of the Rhone is also likely to decrease. By 2050, it’s estimated the river’s discharge could drop by 30% on average and 50% in summer, bringing fewer alluvial deposits as a result. Altimetry satellites will help to respond to this situation in several ways. 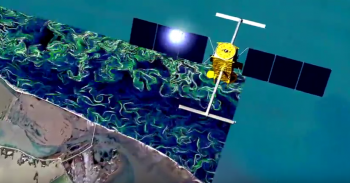 Year after year, they are monitoring mean sea level rise as well as regional disparities, notably in the Mediterranean basin and along the Camargue coastline. 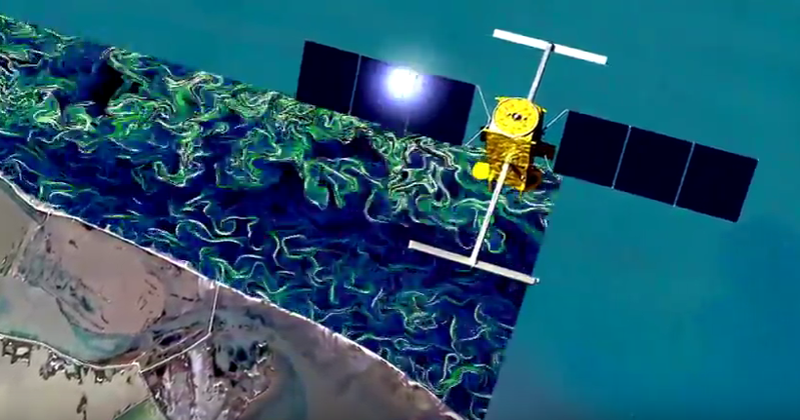 The future SWOT satellite will provide a two-dimensional high-definition picture of the coast, bringing new insights into local near-shore ocean phenomena. It will also tell us more about the area’s hydrology, track river discharges and measure the surface area and depth of reservoirs and marshes larger than 1 hectare, thus revealing variations in water stocks across the Camargue basin. These contributions will be key to monitoring and modelling the Camargue, and for planning to cope with the impacts of climate change on the region.